More than 20 formal gowns and pieces of apparel of American First Ladies are going on display at the Richard Nixon Presidential Library and Museum in a new exhibit called “Why They Wore It: The Politics & Pop Culture of First Ladies’ Fashion,” which will break new ground by exploring for the first time how each First Lady used her favorite styles to advance her own – and her husband’s – agenda by embracing special causes and promoting political positions. This colorful, original exhibit will be the first setting in which one of First Lady Melania Trump’s dresses will go on display outside of the Smithsonian in Washington, D.C. Featured in the exhibition is the silver sparkling bell-sleeved Dolce & Gabbana dress worn by Mrs. Trump at the G7 Summit in 2017. The colorful exhibit will feature actual and exact replica dresses designed to appear as if they are walking down a runway. It opens August 1 and will be on display through September 12, 2018. The exhibit is curated by Carl Anthony, author of twelve books on first ladies and the nation’s expert on the political and social power of presidential wives and families. 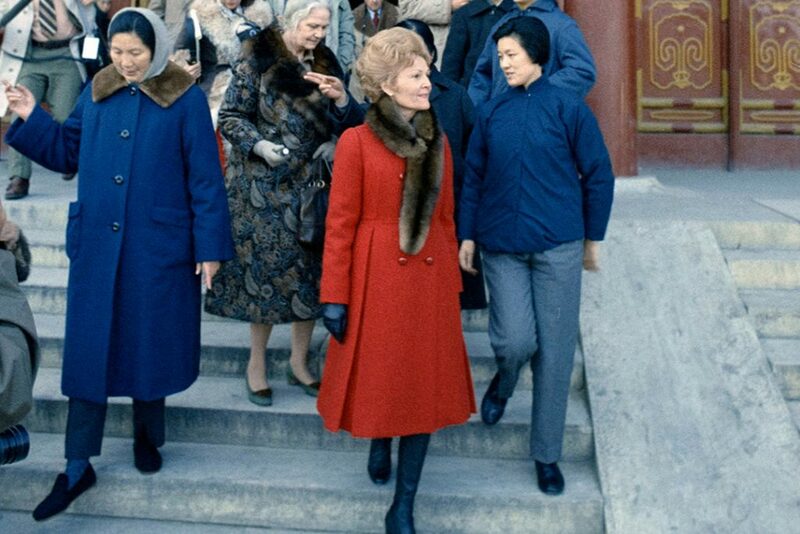 First Lady Pat Nixon’s iconic tea-length red wool coat, worn as she accompanied her husband in China on their historic visit in February of 1972 and seen all around the world, will go on display for the first time in six years as part of this exhibition. The red coat symbolized good luck and friendship, and proved to be an important diplomatic statement in early Sino-American relations. Accompanying these two renowned apparel pieces will be seven additional original dresses worn by First Lady Pat Nixon; exact replicas of gowns worn by Mary Todd Lincoln, Lucy Hayes, Frances Cleveland, Grace Coolidge, Eleanor Roosevelt, Mamie Eisenhower, Jacqueline Kennedy, Rosalynn Carter, Nancy Reagan and Barbara Bush; and two original dresses worn by Tricia Nixon Cox and Julie Nixon Eisenhower. As part of the exhibit programming, six knowledgeable titans of the fashion industry, including those who designed gowns for First Ladies, will present weekly lectures on the First Ladies’ fashions and their impact. Speakers include Carl Anthony on August 1, Pamela Keogh on August 8, Victor Costa on August 15, Michael Faircloth on August 22, Kate Betts on August 28, Molly Sorkin on September 5 and Carl Anthony again on September 12. Every First Lady, including Hillary Clinton, Laura Bush, Michelle Obama and Melania Trump, will be discussed during the series. A special preview of the “Why They Wore It” display can be seen in the center Jewel Court of South Coast Plaza beginning July 25. This exhibit, presented in partnership with South Coast Plaza, will include replica inaugural gowns of Mary Todd Lincoln, Jacqueline Kennedy, and Pat Nixon, with biographical information on each First Lady and why she wore each gown. Visitors to South Coast Plaza can view this preview exhibit for free. As part of the exhibit’s opening, curator Carl Anthony will launch an all-new, 140-page book entitled “Why They Wore It: The Politics and Pop Culture of First Ladies’ Fashion,” featuring more than 100 photographs of every First Lady from Martha Washington to Melania Trump, many never-before-seen. It is his thirteenth book on first ladies. 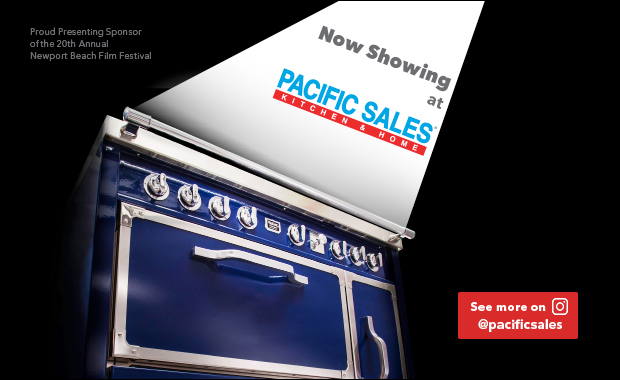 Admission to the special exhibit is included with paid admission to the Nixon Library. The Richard Nixon Foundation is a privately supported, nonprofit nonpartisan institution dedicated to informing and educating the public about the life, legacy, and times of the Thirty-Seventh President. The Foundation owns the 8.2-acre campus and buildings comprising the Richard Nixon Presidential Library and Museum, and jointly operates the Library and Museum site with the National Archives. For more information, visit nixonfoundation.org.